Entry: One complimentary ticket is included with a full registration. Additional tickets can be purchased online with registration. Note: no onsite tickets will be available. NOTE: Tickets for this event are now sold out. You can place your name on the waiting list during the registration and we will ask for unwanted tickets to be returned and re-distribute them. If you did not get a ticket then you are automatically on the waiting list. 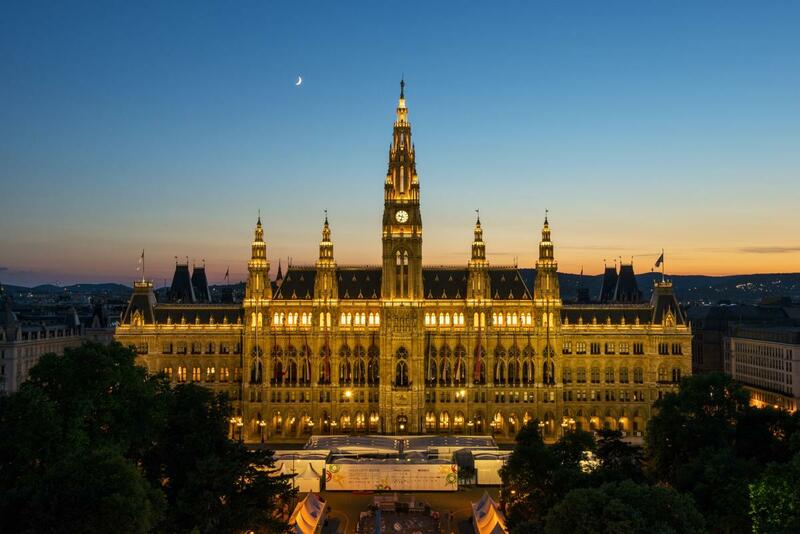 Transport: The Vienna Town Hall is located on the Ringstrasse and accessible with the underground U2-Rathaus, or the tram lines numbers 1, 2, or D.
We are very excited about the number of people signed up for this year’s Colloquium. We are pleased to report that we have received a record number of early-bird registrations for the Colloquium and it is likely that we will break the record for the largest Colloquium ever. Unfortunately, as mentioned on our website and in our newsletter, our gala dinner has only a limited amount of spots (no venue in the city could accommodate 1000+ persons for dinner) and has now sold out. The gala dinner is a 3-course seated meal with wine and drinks and music. Cochrane policy has always included attendance for the gala dinner AND welcome reception in the Colloquium registration price. Cochrane is non-profit and the Colloquium is, at best, a “break-even” event. The pricing structure is designed to enable attendance from all countries and groups in order to foster a balanced, fruitful worldwide collaboration. See here for an explanation of our pricing structure. We cannot offer discounts on these prices, even when attendees do not receive a ticket to the gala dinner. We understand and empathize with those who have not been able to get a ticket for the gala. Therefore we have set up a “waiting list” with the names of all of the people who registered for the Colloquium AFTER the gala dinner sold out. This is also now an option within the registration process. If you registered after the gala dinner sold out and before we implemented the new waiting list online, then YOUR NAME IS AUTOMATICALLY ON THAT LIST. You do not need to do anything. If you DO have a ticket that you actually will not need then let us know and we will pass it on to the next person on the list (registration@cochrane.org). At the Colloquium venue we will also set up a system for dropping off unwanted tickets and for those who are on the waiting list to pick them up. We sincerely apologize to those who missed out on a ticket and are disappointed. We hope that our waiting-list system will allow many of you to attend the gala dinner and reduce the number of “no-shows” on the night.